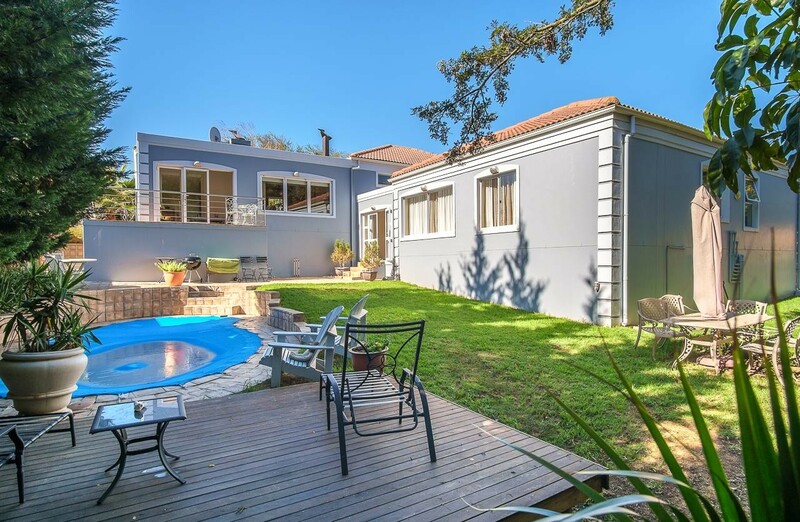 Living in a secure environment in this sought after 24 h manned security estate in heart of Durbanville while having easy access to amenities. This family home offers four bedrooms ( wooden floors) with plenty of room for study, sleep and private lounge off bedrooms. Family bathroom with bath and shower. The master bedroom, complete with walk-in closet and en-suite, ensures parents have a private space overlooking garden and pool. Enjoy gatherings in this 4 open plan living areas including dining area and with separate lounge and indoor braai room. Open plan wood and granite kitchen with separate scullery. BONUS: generously-sized study / living area with aircon and wooden floors off open plan living areas. Established treed garden with pool overlooking farmland.